Union Minister and eminent lawyer Arun Jaitley today used the facebook to slam the Supreme Court for striking down the National Judicial Appointments Commission (NJAC) and said while the judgment upheld the primacy of one basic structure - independence of judiciary – it diminished five other basic structures of the Constitution, namely, Parliamentary democracy, an elected Government, the Council of Ministers, an elected Prime Minister and the elected Leader of the Opposition. “This is the fundamental error in which the majority of the judges have fallen”, he said in a facebook post. “The Indian democracy cannot be a tyranny of the unelected and if the elected are undermined, democracy itself would be in danger. Are not institutions like the Election Commission and the CAG not credible enough even though they are appointed by elected Governments?”, Jaitley asked. The key rationale, he said, behind the majority opinion appears to be that independence of judiciary is an essential ingredient of the basic structure of the Constitution. "This is unquestionably a correct proposition. Having stated this, the majority transgresses into an erroneous logic," he said. “The judgment argues that the presence of a Law Minister in the Commission and the appointment of two eminent persons in the Commission by a group, which will, besides Chief Justice of India, comprise of the Prime Minister and the Leader of the Opposition, will constitute political involvement in the judicial appointments. Judges appointed on this basis may feel gratified to the politicians. Political persons would be obviously guided by their political interest”, he said. He pointed out that the judges warn of adverse consequences if politicians were a part of the appointment process. Hence protection of the judiciary from political persons was essential. This is key reason on which constitution amendment, unanimously passed by both the Houses of Parliament and the State Legislature, has been struck down. Observing that “politician bashing” was key to the judgment, he noted that one judge argues that Shri L.K. Advani has opined that dangers of an Emergency like situation are still there. Civil society in India is not strong and, therefore, you need an independent judiciary. “Another argues that it may be possible that the present Government does not favour appointment of persons with alternative sexuality as Judges of the High Court and the Supreme Court”. “Politician bashing is akin to the 9.00 PM television programmes”, he said. Jaitley alleged that the judgment ignores the larger constitutional structure of India. “Unquestionably independence of the judiciary is a part of the basic structure of the Constitution. It needs to be preserved. But the judgement ignores the fact that there are several other features of the Constitution which comprise the basic structure”, he said. “The most important basic structure of the Indian Constitution is Parliamentary democracy. The next important basic structure of the Indian Constitution is an elected Government which represents the will of the sovereign. The Prime Minister in Parliamentary democracy is the most important accountable institution. The Leader of the Opposition is an essential aspect of that basic structure representing the alternative voice in Parliament. The Law Minister represents a key basic structure of the Constitution; the Council of Ministers, which is accountable to Parliament. All these institutions, Parliamentary sovereignty, an elected Government, a Prime Minister, Leader of Opposition, Law Minister are a part of the Constitution’s basic structure. They represent the will of the people” jaitley added. “As someone who has spent more years in court than in Parliament, I feel constrained to speak out for Indian democracy. There is no principle in democracy anywhere in the world that institutions of democracy are to be saved from the elected”, he said. “The illustrations given had to be on a sounder footing. If one leader feels that there are dangers of emergency, there is no presumption that only the Supreme Court can save it. When in the mid-Seventies the Emergency was proclaimed, it was people like me – the politicians, who fought out and went to prison. It was Supreme Court that caved in and, therefore, for the court to assume that it alone can defend the nation against Emergency, is belied by history”, he said. “As for the cause of those representing alternative sexuality, the Delhi High Court had decriminalized it. I am a part of the present Government, but I had publically supported opinion of the Delhi High Court. It was the Supreme Court which recriminalized alternative sexuality. The assumption that the cause of the practitioners of alternative sexuality to be appointed as judges, can only be protected by Supreme Court, is again belied by history. The Supreme Court opinion is final. 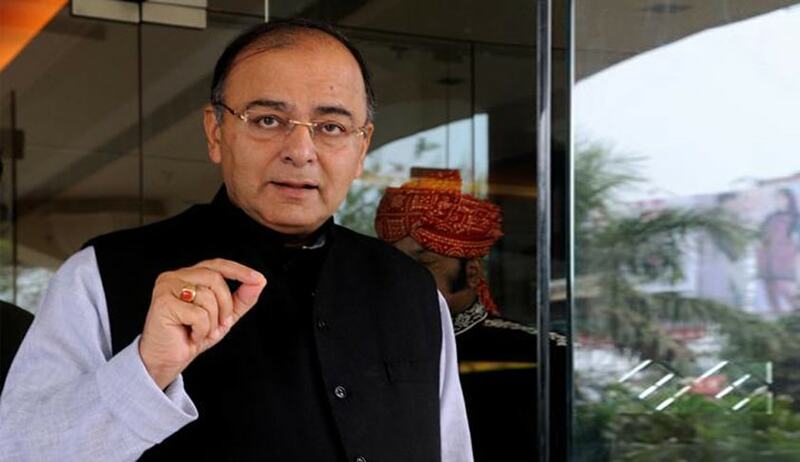 It is not infallible”, said jaitley. “The judgement interprets the provision of Article 124 and 217 of the Constitution. Article 124 deals with the appointment of Judges in the Supreme Court and Article 217 deals with the appointment of Judges of the High Court. Both provide for the appointment to be made by the President in consultation with the Chief Justice of India. The mandate of the Constitution was that Chief Justice of India is only a ‘Consultee’. The President is the Appointing Authority. “The basic principle of interpretation is that a law may be interpreted to give it an expanded meaning, but they cannot be rewritten to mean the very opposite. In the second Judge’s case, the Court declared Chief Justice the Appointing Authority and the President a ‘Consultee’” he said. Jaitley said in the third Judge’s case, the courts interpreted the Chief Justice to mean a Collegium of Judges. President’s primacy was replaced with the Chief Justice’s or the Collegium’s primacy. In the fourth Judge’s case (the present one) has now interpreted Article 124 and 217 to imply ‘Exclusivity’ of the Chief Justice in the matter of appointment excluding the role of the President almost entirely.No principle of interpretation of law anywhere in the world, gives the judicial institutions the jurisdiction to interpret a constitutional provision to mean the opposite of what the Constituent Assembly had said. This is the second fundamental error in the judgement. The court can only interpret – it cannot be the third chamber of the legislature to rewrite a law”, he added.